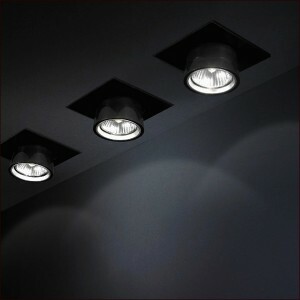 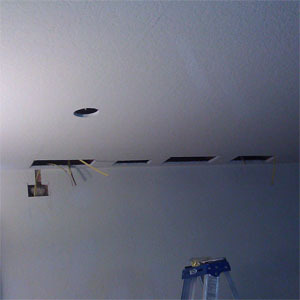 Now it's finally time to run the wiring and install the recessed lighting. 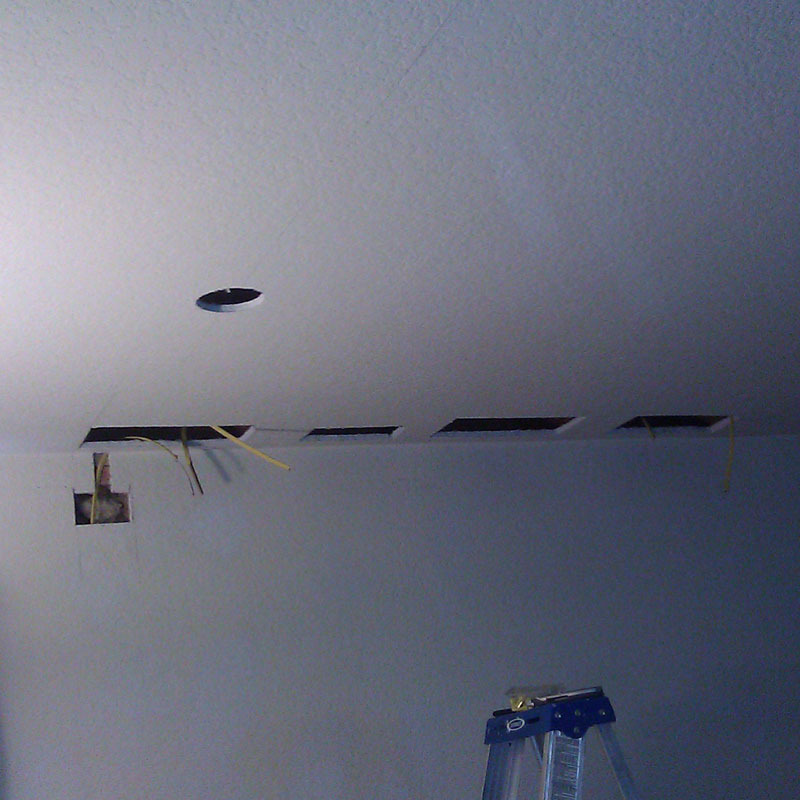 Wiring the lights would have been a piece of cake if I had attic access but since I didn't, I had to run the wires to each light by drilling through the joists. 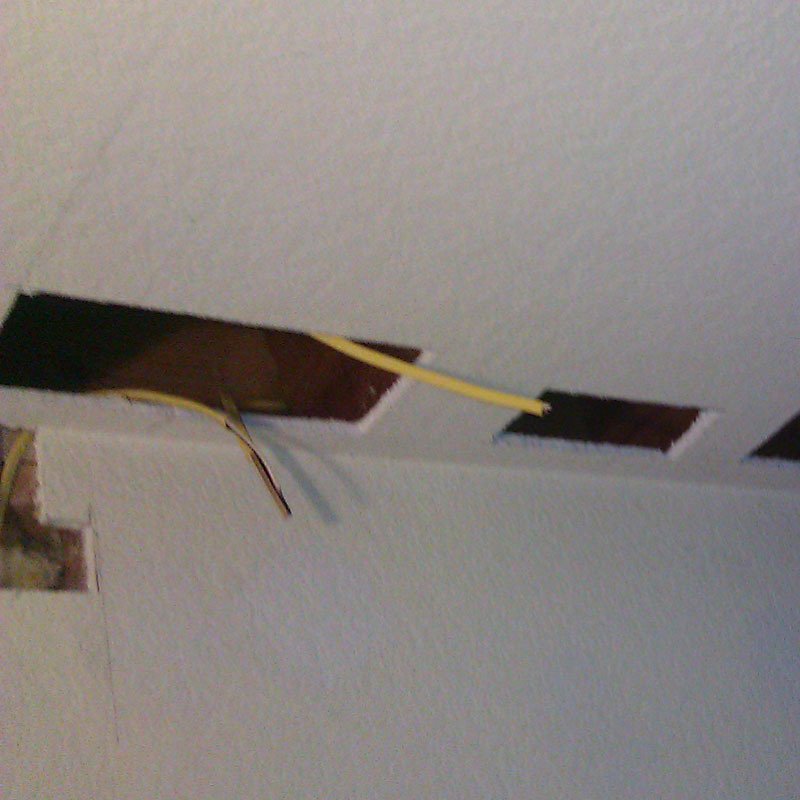 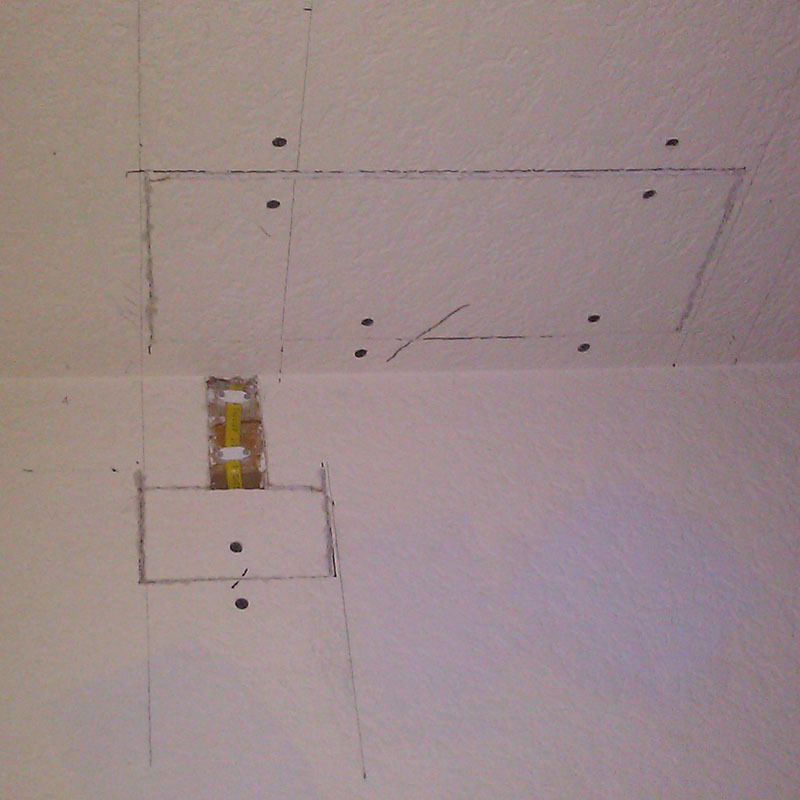 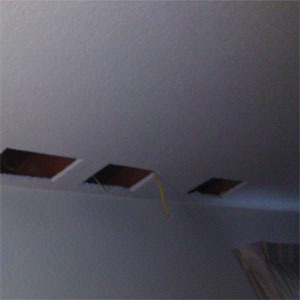 I had to cut a hole in the ceiling next to each joist in order to get at it with the drill. 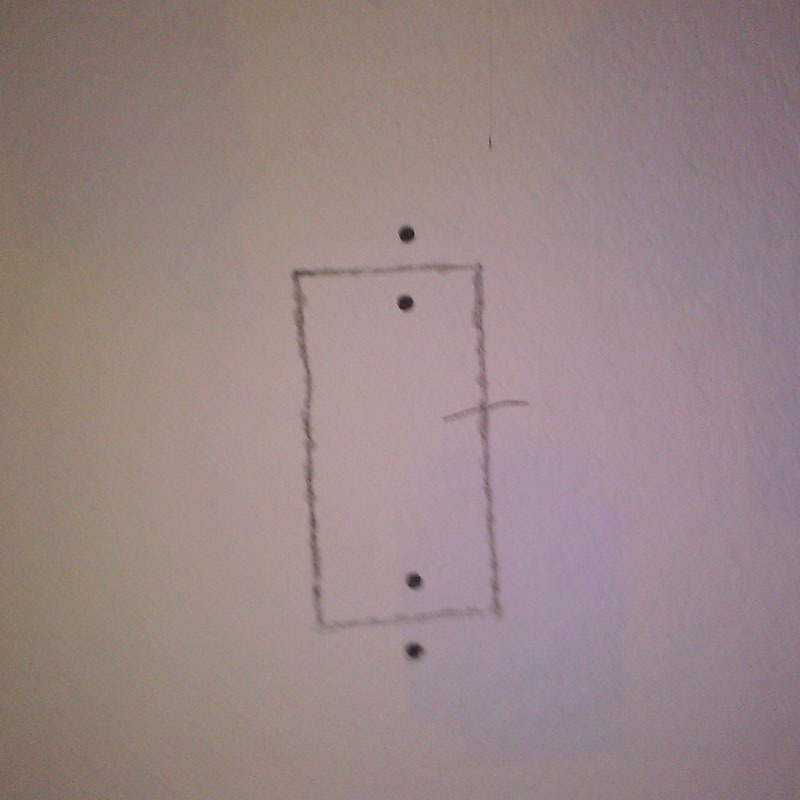 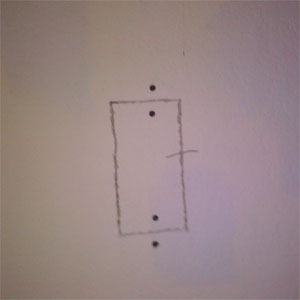 When cutting the holes, I marked and saved the pieces I cut out so I could reuse them when time comes to patch the ceiling. 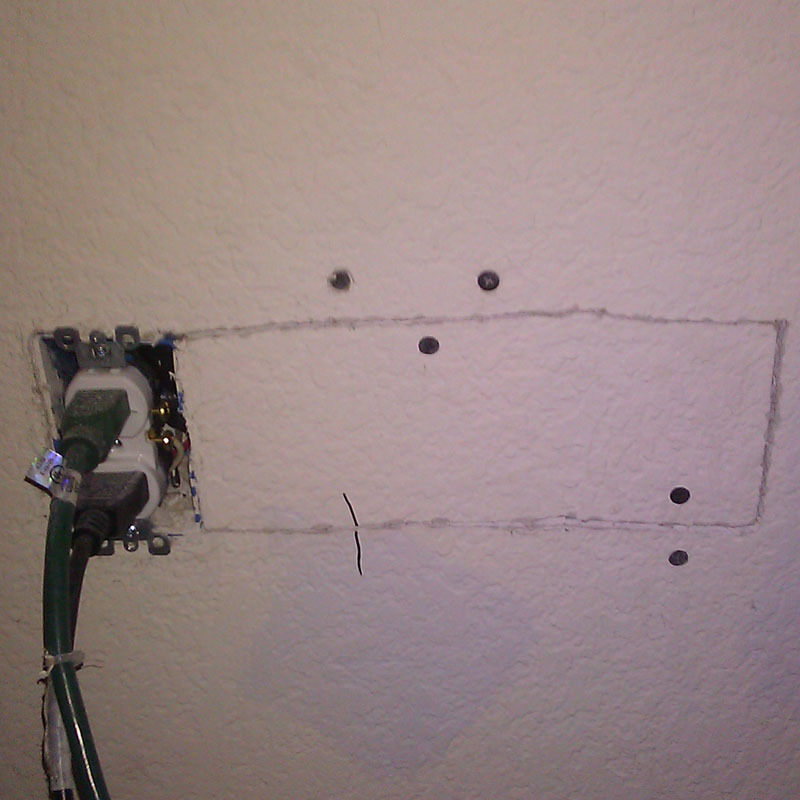 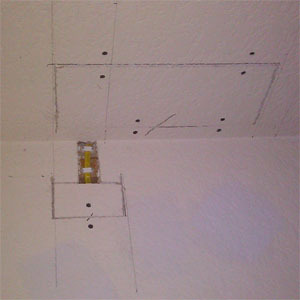 If you're not sure how to patch drywall, there's plenty of videos on YouTube.